After Sarah taught Jimmy some of the basic design principles, he was ready to build and design the dashboard. Also, his company Shmuckle had a new job opening for a product manager. He was the perfect candidate, but to take that new job, he had to prove that he knew how to manage a project and a team. However, he was struggling with choosing a process on how to proceed with the dashboard. Should he do agile? Waterfall? Work in cycles? He thought that it would be great to ask the leaders from the engineering departments what they thought about it. “You still asking?! 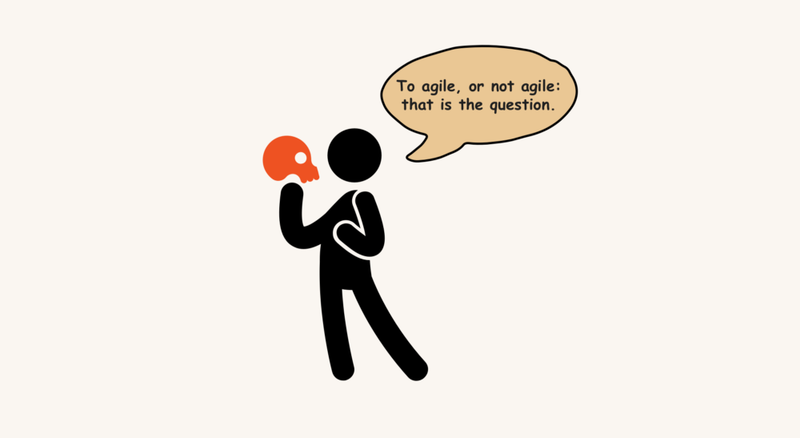 Agile of course. It’s the best and most easy process. There’s no better way of working on digital products nowadays” then he went to a blackboard and continued “Give me an hour, and I will explain you everything. Then we can plan weekly sessions so you can fully understand how to do it. Oh yes! Almost forgot. I will also send you a couple of podcasts to listen to and some videos to watch” Jimmy smiled awkwardly and did no know how to respond. Returning back with a bunch of papers, books and magazines he threw everything on the desk. Mentally exhausted, he got lost and did not know where to start. There was too much information. Even the internet was full of useless and similar information. Leaving everything aside, Jimmy thought it would be great to take plan B — ask Sarah. So he went straight to Sarah’s office to ask for help. He wasn’t able to choose how to proceed, so he needed her advice. She always knew the right answer and could clarify stuff for him. When he finished, a warm smile appeared on her face, and she said: “It’s ok Jimmy. We all become lost at some point. And a little guidance always comes in handy. “Yes, but not only. Overall we need a process because the human mind cannot grasp chaos. And also, a process, on paper, gives you an assurance that something will be built or delivered after you complete it. That’s why it’s a process. So for now, it’s not the problem in choosing a process, but to realise why those processes exist in first place and problems you will meet along the way. No matter which one you choose” she paused for a second, looked through the window and continued “Did you ask around the company what process people chose to follow?” said Sarah. 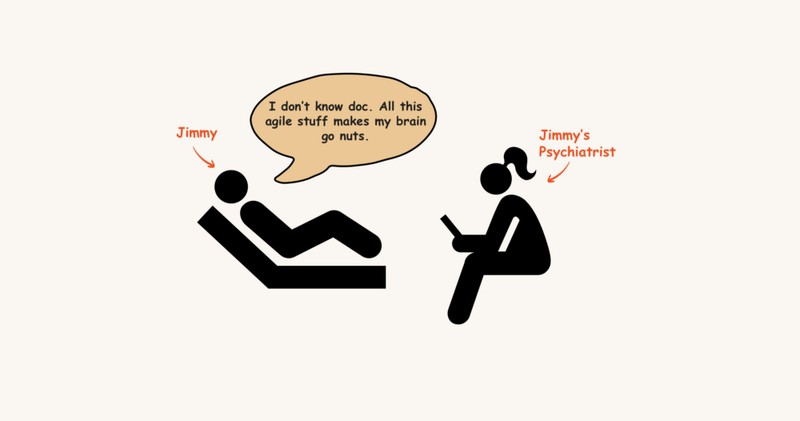 “Yes, but the opinions are split between Agile and Waterfall,” said Jimmy. “First of all, both methods are great” continued Sarah. “But there is a pattern in most of the companies. 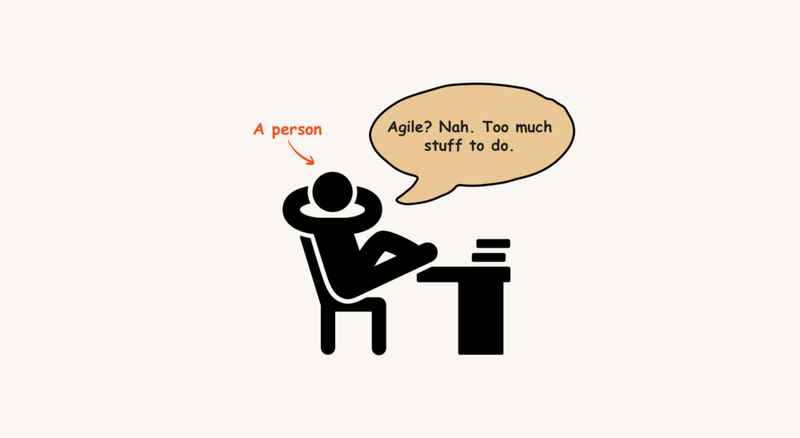 So what I see when people do agile or waterfall is that they do the design and development in so-called little sprints of time. And they don’t do it once, but all the time. But for you to get the picture here is the story. Previously, people have been doing it in sprints or projects of 6 months. And now it’s the same thing but divided is small amounts of time. So nothing has changed. 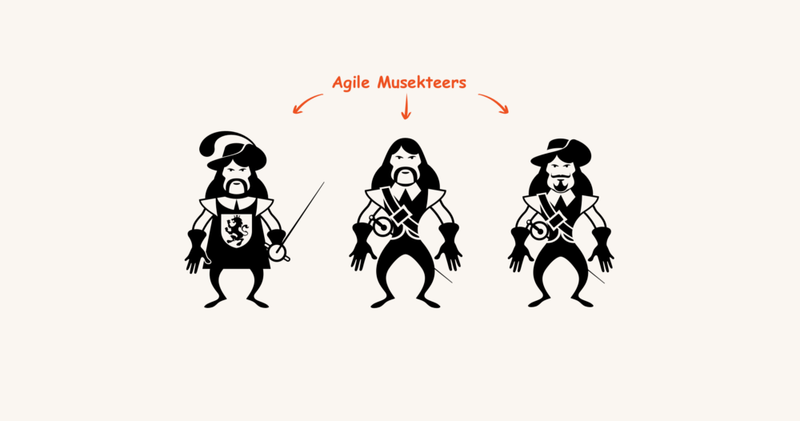 Another thing is — some people use agile to iterate on one project many times. They use it in the hope to get a better end result. And they keep doing it for a long time. Months and months go by, sometimes even a year, and they haven’t released anything. So, in this case, you would ask yourself, what went wrong? I will tell you — no commitment and a lot of distractions. So the problem is that people don’t commit to delivering something in a period of time. They use all sorts of excuses only not to finish a project on time and on budget. And it does not matter if you have that cycle for a week or two, a month or a year. What is important is that you must own the process and commit to delivering something. And, of course, this is challenging. So, in this case, you will have to make some choices to get things done” said Sarah. “It does not matter what type of agile you do, how many steps you take or how many times you do it. It does not matter if you do Google’s Design Sprint, if you do waterfall, or whatever. It just does not matter. What people get wrong is that they think a process is the key. But the reality is that the process is a means to an end. The real problem is that people are lazy and don’t commit to delivering something. They allow ego, office politics, customers and other things to get into their way. They debate endlessly, they strategise, they have long hours of toxic meetings where you sit like an idiot and think what went wrong with your life. The last one was my case many years ago” said Sarah. People have a problem of commiting to ideas and they get distracted by multiple factors — customers, internal debates, poor management, so on. “So you must commit to deliver something on a specific date or during a period of time. And you will promise yourself and your team that you will not push dates or increase budgets. You will work in constraints. As we all know, constraints are advantages in disguise. You will stay fully focused and not work on anything else except your product. In your case, your dashboard.” said Sarah. “The size of the team is also important. But that’s a conversation for later. But let’s say you have a team of 3 people working on the release of your next feature or, in your case, the dashboard. You have to make sure that the rest of the company will not ask or talk to the team about anything else except what they are working on. 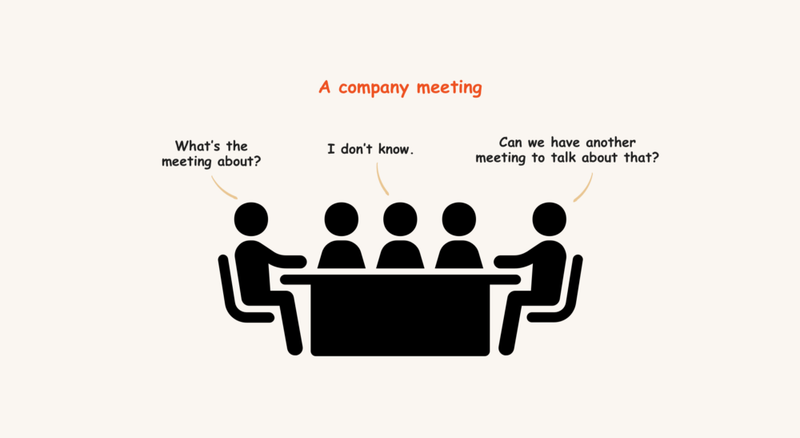 The team must be small, otherwise if it is too big you will have communication problems. It will be harder to align everyone on the same page. And the result? If you give too much freedom, too many people and resources to a problem — you’ll get a final product that is over-designed, over-worked, over-budget and under-focused. “Now if you take a step back from everything I told, you will realise that it’s not about the process, company, people, country, culture, or anything else. It’s about discipline. But it’s not only about the discipline of the team or the person in charge, but the business itself. We all know that everything comes from the top, and if the top is shallow, the company is too. Don’t fool yourself that you can plan an entire project in advance and nothing will go wrong. A lot of things will. And that’s why you need that idea, vision or direction. Because when you get pulled over, it’s easy to deviate and change course. So in that case you start increasing time, money, more people and so on. Don’t believe in blueprints. There is none. Just be ready that things will go wrong and stay laser focused on your vision and project. 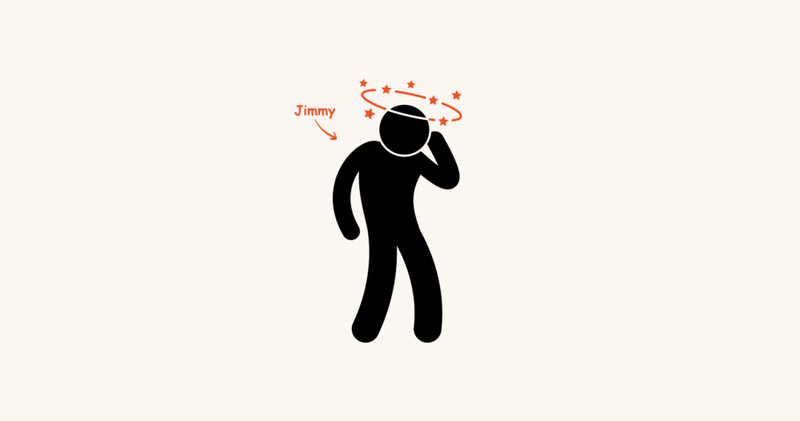 Still thinking and a bit insecure, Jimmy answered “Have a vision. Be ready that things will go wrong. Gather a small team and isolate them from the rest of the company so they can work with no interuptions. And the most important — commit to delivering something on a specific date or during a period of time. But… but… I don’t know how small the team should be. So how many should I take?” asked Jimmy. “I will lie to you if I knew the right answer, but I definitely know that it should be as few people as possible. In your case, I would suggest three people. You being the lead designer and project manager and two developers who will work on front and back for your dashboard” said Sarah. “And how much time should I spend on it?” asked Jimmy. “You decide. It’s your project. But most of the times you have to know from the start what are the resources available — time, money, and how much patience has the management team. And again, it’s not about the time, but it’s about committing to deliver something in a period of time. Your project seems a bit big, so you can take a month for it. But remember, you commit to delivering something after that month. And in your case, it must be a new and ready for testing prototype of your dashboard. And I will personally not allow any increase of budgets and time” said Sarah. “So should I do agile or waterfall? That was my initial question” said Jimmy. “I don’t know. You decide. For me, it was more important that you understand the basics and the issues that will lie ahead of you. The rest? Well, the rest just doesn’t matter if you know where you are headed” said Sarah and went back to her desk and continued reading her papers. “Thanks, Sarah. You saved me again” said Jimmy and walked away. “My door is always open for everyone,” she quietly said while continuing to work on her stuff. Everybody can choose his or her own process on how to design or build digital products. It does not matter what method you use. In ten years we may have a new one, but the basics remain the same. I noticed that people make the process The God of the project. And along the way they become tangled in unnecessary things — toxic meetings, debates and so on. And because things go wrong, and they do go wrong, we start pushing timelines. “We could not build or finish A on time, and because of that we can’t proceed to B. And our developer is needed on a next project because we don’t have enough resources, so we have to stop this project for another month.” And that’s only a snapshot of how things go wrong. I believe that the team working on your next feature should be laser focused and isolated from the rest of the daily needs of your company. And not get distracted all the time by client requests like this “Hey Angela, our big client needs this to go live today, could you please leave your project aside and help us here?” (and that is a real life example I witnessed) So hopefully this article will help you rethink the process of how you work on your product or next feature.